Contestants: Joshua Brakhage, a TV news producer originally from South Coffeyville, Oklahoma Susie Swithers, a professor of psychological sciences from Zionsville, Indiana Michelle Souza, a costume designer from San Diego, California (whose 1-day cash winnings total $13,999) Joshua Brakhage game 1. Contestants: Waymond Mitchell, a quotation specialist from Houston, Texas Zora Shinn, a retired attorney from Solvang, California Joshua Brakhage, a TV news producer originally from South Coffeyville, Oklahoma (whose 1-day cash winnings total $20,006) Joshua Brakhage game 2. Contestants: Sean Link, a non-profit communications co-ordinator originally from Terryville, Connecticut Lauren Thomas, a server originally from Owensboro, Kentucky Joshua Brakhage, a TV news producer originally from South Coffeyville, Oklahoma (whose 2-day cash winnings total $40,006) Joshua Brakhage game 3. 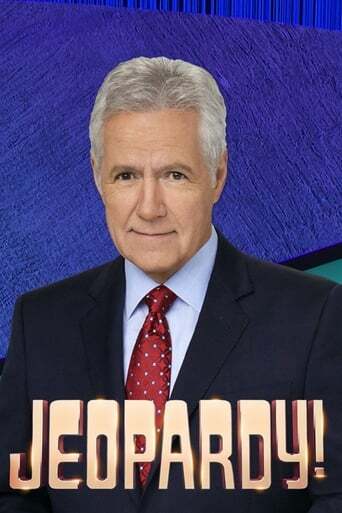 Contestants: Emily Gilmore, a Latin teacher from Fredericksburg, Virginia Ashok Poozhikunnel, an underwriter from Wheaton, Illinois Julie Reynolds, a medical transcriptionist from Waterville, Ohio (whose 1-day cash winnings total $10,005) Ashok Poozhikunnel game 1. Contestants: Alison Shapiro, a publicist from Santa Monica, California Michele Myers Beuerlein, a research assistant from Cincinnati, Ohio Ashok Poozhikunnel, an underwriter from Wheaton, Illinois (whose 1-day cash winnings total $21,600) Ashok Poozhikunnel game 2. Contestants: Xan Vessels, a 12-year-old seventh grader from Mechanicsville, Virginia Holly Boivin, a 12-year-old seventh grader from Nashua, New Hampshire Patrick Aimone, a 12-year-old seventh grader from Long Beach, California S29 Kids Week game 5. Last game of Season 29. Contestants: Kristin Durianski, an attorney from Merrillville, Indiana Heather Montanye, an environmental resource manager from Monticello, Florida Joshua Brakhage, a TV news producer originally from South Coffeyville, Oklahoma (whose 3-day cash winnings total $49,605) Joshua Brakhage game 4. Contestants: Robert Chodola, a graduate student of education from Fallbrook, California Allison Swanberg, a pet store operations manager from Falls Church, Virginia Joshua Brakhage, a TV news producer originally from South Coffeyville, Oklahoma (whose 4-day cash winnings total $69,611) Joshua Brakhage game 5. Contestants: Lindsey Chismark, a business analyst from Madison Heights, Michigan Ben Dwertman, a writer and library services assistant from Cincinnati, Ohio Drew Horwood, a business analyst from Minneapolis, Minnesota (whose 4-day cash winnings total $42,998) Drew Horwood game 5. Contestants: Barrett Evans, a web publisher from Portland, Oregon Tish Koch, an education finance consultant from Long Beach, California Drew Horwood, a business analyst from Minneapolis, Minnesota (whose 5-day cash winnings total $79,197) Drew Horwood game 6. Contestants: David Czapka, a background investigator from Wayne, New Jersey Jillian Mueller, an attorney from Washington, D.C. Drew Horwood, a business analyst from Minneapolis, Minnesota (whose 6-day cash winnings total $107,998) Drew Horwood game 7. Contestants: Tom Canterbury, a radio promotions director from Tuscaloosa, Alabama Anne Olson, an accountant from Venice, California Drew Horwood, a business analyst from Minneapolis, Minnesota (whose 7-day cash winnings total $124,296) Drew Horwood game 8. Contestants: Rob Groves, a classics lecturer from Los Angeles, California Kathleen Meyer, a journalist and community volunteer from Brookfield, Wisconsin Drew Horwood, a business analyst from Minneapolis, Minnesota (whose 8-day cash winnings total $138,100) Drew Horwood game 9. Contestants: Reggie Austin, an actor from Culver City, California Alyson Murray, a server from Boston, Massachusetts Jerry Slowik, a writer from Arlington Heights, Illinois (whose 3-day cash winnings total $71,900) Jerry Slowik game 4. Contestants: James Mardock, an English professor from Reno, Nevada Angela Murock Hussein, an archaeologist from Pittsburgh, Pennsylvania Jared Hall, a graduate student in global policy studies from Austin, Texas (whose 2-day cash winnings total $59,600) Jared Hall game 3. First game of Season 30. New set and opening graphics. Contestants: Tova Meyer, a graduate student in education from Princeton, New Jersey Melissa Jurgens, a lawyer from Arlington, Virginia Jared Hall, a graduate student in global policy studies from Austin, Texas (whose 3-day cash winnings total $88,401) Jared Hall game 4. Contestants: Jen Yoak, a latent print examiner from Centerville, Ohio Todd Martin, an administrative services manager from Fairfield, California Jared Hall, a graduate student in global policy studies from Austin, Texas (whose 4-day cash winnings total $130,401) Jared Hall game 5. Contestants: Hillary Kwiatek, an employee communication specialist from Bethlehem, Pennsylvania Parth Sheth, a medical student from Atlanta, Georgia Jared Hall, a graduate student in global policy studies from Austin, Texas (whose 5-day cash winnings total $161,001) Jared Hall game 6. Contestants: Matt Volk, a financial analyst from Cedar Rapids, Iowa Kellie Chan, a graduate student of biology from Chuluota, Florida Jared Hall, a graduate student in global policy studies from Austin, Texas (whose 6-day cash winnings total $181,001) Jared Hall game 7. Contestants: Carole Furr, an accountant from Richmond, Vermont Rani Peffer, a corporate finance manager from Crittenden, Kentucky Woody Houchin, a medical assistant from Chico, California (whose 1-day cash winnings total $14,100) Rani Peffer game 1. Contestants: Evan Voorn, a student teacher from Fort Worth, Texas Kellie Herson, a Ph.D. student and teaching assistant originally from Green Bay, Wisconsin Rani Peffer, a corporate finance manager from Crittenden, Kentucky (whose 1-day cash winnings total $14,311) Rani Peffer game 2. Contestants: Sarah Orman, a travel planner from Shoreview, Minnesota Adam Johnston, a project manager from Mechanicsville, Maryland Rani Peffer, a corporate finance manager from Crittenden, Kentucky (whose 2-day cash winnings total $28,712) Rani Peffer game 3. Contestants: Vimal Murthy, a burn and wound surgeon from Redondo Beach, California Amanda DeMeola, an attorney from Brooklyn, New York Rani Peffer, a corporate finance manager from Crittenden, Kentucky (whose 3-day cash winnings total $41,135) Rani Peffer game 4. Contestants: Rico Vazquez, a band teacher from Elmhurst, Illinois Katie Moriarty, a fifth-grade teacher from Cincinnati, Ohio Anne Baxter, a kindergarten teacher from Ypsilanti, Michigan S30 Teachers Tournament quarterfinal game 1. Contestants: Kati Sorenson, a reading teacher from Omaha, Nebraska Mary Beth Hammerstrom, a social studies teacher from Anchorage, Alaska Patrick Dillon, a music teacher from Huntington, New York S30 Teachers Tournament quarterfinal game 2. Contestants: Karen Cafaro, an English literature and composition teacher from Georgetown, South Carolina James Brown, a physics teacher from El Paso, Texas Eli Barrieau, a history teacher from Hardwick, Massachusetts S30 Teachers Tournament quarterfinal game 3. Contestants: John Pearson, a math teacher from Richardson, Texas Maryanne Lewell, a history teacher from Saint John, New Brunswick, Canada Becky Giardina, a social studies teacher from Martinez, Georgia S30 Teachers Tournament quarterfinal game 4. Contestants: Michael Townes, an English and Language Arts teacher from Greenville, South Carolina Timothy Shuker-Haines, a teacher from Williamstown, Massachusetts Cathy Bloedorn, a chemistry and forsenics teacher from Ellicott City, Maryland S30 Teachers Tournament quarterfinal game 5. Contestants: Katie Moriarty, a fifth-grade teacher from Cincinnati, Ohio Timothy Shuker-Haines, a teacher from Williamstown, Massachusetts John Pearson, a math teacher from Richardson, Texas S30 Teachers Tournament semifinal game 1. Contestants: Becky Giardina, a social studies teacher from Martinez, Georgia Anne Baxter, a kindergarten teacher from Ypsilanti, Michigan Patrick Dillon, a music teacher from Huntington, New York S30 Teachers Tournament semifinal game 2. Contestants: Eli Barrieau, a history teacher from Hardwick, Massachusetts Maryanne Lewell, a history teacher from Saint John, New Brunswick, Canada Mary Beth Hammerstrom, a social studies teacher from Anchorage, Alaska S30 Teachers Tournament semifinal game 3. Contestants: John Pearson, a math teacher from Richardson, Texas Becky Giardina, a social studies teacher from Martinez, Georgia Mary Beth Hammerstrom, a social studies teacher from Anchorage, Alaska S30 Teachers Tournament final game 1. Contestants: John Pearson, a math teacher from Richardson, Texas (subtotal of $15,200) Becky Giardina, a social studies teacher from Martinez, Georgia (subtotal of $0) Mary Beth Hammerstrom, a social studies teacher from Anchorage, Alaska (subtotal of $11,000) S30 Teachers Tournament final game 2. Contestants: James Kosmatka, a theater manager from Cleveland Heights, Ohio Johnna Mahoney, a medical student from Lancaster, Pennsylvania Rani Peffer, a corporate finance manager from Crittenden, Kentucky (whose 4-day cash winnings total $56,712) Rani Peffer game 5. Contestants: Janel Stogdill, a homeschool mom from Valrico, Florida Mike Nickel, a social worker from St. Louis, Missouri Rani Peffer, a corporate finance manager from Crittenden, Kentucky (whose 5-day cash winnings total $68,701) Rani Peffer game 6. Contestants: Genevieve LeClerc, a graduate student and sales manager from Lake Forest Park, Washington Jerry Slowik, a writer from Arlington Heights, Illinois Anthony Niblett, a law professor from Toronto, Ontario, Canada (whose 1-day cash winnings total $19,601) Jerry Slowik game 1. Contestants: Kathy Cacace, an online editor from Brooklyn, New York Avram Polinsky, a customer service analyst from Columbia, Maryland Jerry Slowik, a writer from Arlington Heights, Illinois (whose 1-day cash winnings total $23,199) Jerry Slowik game 2. Contestants: Alexis Browsh, a teacher and tutor from Bryn Mawr, Pennsylvania Armen Terjimanian, a web content producer originally from Troy, Michigan Jerry Slowik, a writer from Arlington Heights, Illinois (whose 2-day cash winnings total $49,998) Jerry Slowik game 3.